– Hardware only, not including door panel. 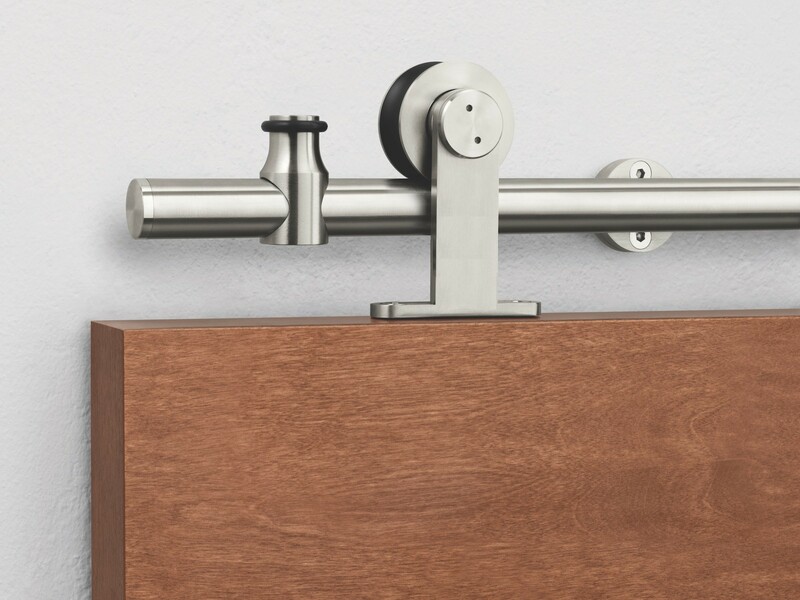 – Material: Stainless Steel and Surface: Brushed Stain. – Solid Roller with Safety Anti-Pin, More safety! – Pre-drilled 16″ apart holes on track, even suitable for studs wall. – Suitable for door thickness 35-40-45mm. – Track’s length should be twice of your door panel’s width. Please select the length according to your door. – The height from top of the door to the top of the roller is about 120mm, also leave enough space for installation.